It takes years and years to become a true professional at anything... A professional photographer studies his or her art/craft in the field as well as inside on their computer. Studying software, techniques, camera gear and most important is studying the effects of lighting in the environment in which you tend to study. Buying a camera and putting your name out their as a professional photographer the day after, does NOT count! Take the time to learn and years down the road, your clients will follow you and see how professional you are. The best tip I can give anyone for getting the most detail out of your equipment is to learn it. Your lenses are different lengths and most are different F/stops so learn where the sweet spot of each lens is. A sweet spot is generally 2 to 3X the F/stop. For example if you are using an F/2.8 professional series lens then your max F/stop would be F/8. This all depends on how well your scene or subject is lighted. If you are shooting daytime than use the base ISO. Nikon 64-100, Canon 50-100. Whatever you do, avoid F/16, F/22 to F/32 for a landscape scene thinking you will get more detail. It's completely wrong and should not be done. Let me explain to you what I mean. Each lens has its own sweet spot where it performs at its absolute best. 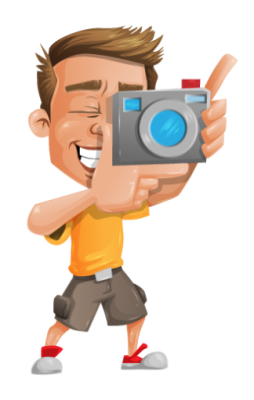 Your photos will degrade DLA is an acronym for Diffraction Limited Aperture . This aperture value is the result of a mathematical formula that approximates the aperture where diffraction begins to visibly negatively affect image sharpness at the pixel level. Stay within F/8 to F/11. out of your lenses sweet spot range as a soft fluffy circle with a glow around the edges. A good way to photograph a scene to find out the best F/stop you will need is quite simple. Make sure your camera is on a sturdy tripod, then set up your camera and lens. Start by using a multiplier of 3X your aperture such as F/8.0 to F/11 then take a photo. After you take the photo, zoom into the scene 100% on your camera's view finder to look at the detail. If you capture all the detail you need for that scene then fine. If you can reduce the F stop and still get all the scene details you want, then you will have a cleaner looking image. Now take the same scene and max out your F/stop to 22 or 32. Now zoom in and see how much your photo has degraded/artifacts around the edges and overall photo. Don't go past f/11....there's no reason to. My best landscape scenes have been photographed at F9 to F11 which is a nice balance since I use a Nikon 24mm, 35mm and 85mm F/1.8 primes. The sweet spot for these lenses are f/8 to f/9 for my landscape and architectural images. Camera update- 2018 I shoot with a Nikon D810 36MP Full frame body, 14.8 dynamic range. Lens update for landscapes- I use a prime lenses for my photos. Nikon 24mm, 35mm, and 85mm f/1.8G lenses. Lens update for wildlife- Future lens Nikon 200mm-500mm f/5.6. (Prior to switching to Nikon I used a Canon EOS 5D MKIII). Using a polarizer or UV/glare filter is great if you absolutely need them. In certain situations, you need a good polarizer to deepen the sky color and cut down on the UV glare. I always play with the scene not using any type of filter first, capturing several different exposures in RAW. Keep in mind that all lenses have glass inside of them and they were created without a filter in front of them. Lenses perform at their very best when they have a hood on them to cut down on the stray light, but they were not created and tested with a filter of any kind. Do this; photograph the same scene with and without a polarizer and then look at the colors, contrast and sharpness levels. It's been my experience that even the absolute best polarizer's like B+W MRC Nano which knocks out .5 to 1 light stops, and allows for possible ghosting around the edges. Buy the best tripod you can afford, don't skimp! Why do I say this, well its simple and correct. If you are willing to put out the bucks for a nice camera and lens, don't you want your photos to be detailed or would you rather have blurry photos? If you buy a lightweight tripod for backpacking that's great, but make sure you don't weigh down the tripod by putting on a heavy camera that is not going to be stable. Carbon fiber tripods have a come a long way since day one and have become very sturdy and stable. I can only recommend my current model which is a Mefotto Globetrotter 8XCarbon fiber 4 tripod. Its light weight and holds up to 26Lbs. The head is a swivel ball head design with very good holding pressure. "I use a Nikon D810 with a battery grip, so I know it holds my full frame camera just fine". Use the best photo editing software that you can afford and if you can't afford to buy it outright, then choose a monthly plan like Photoshop. I love using the Photoshop monthly plan because it updates your software to the most current version without having to buy it at full retail. If there are any bugs or fixes then your Adobe Cloud will notify you when you sign in. Go to Adobe Photoshop CC2019 and see if this works best for you. My pet peeve! I've seen photos with water spots all over the sky from photographers who label themselves as "Professional Photographers". If you’re going to present your work and yourself as professional, then please take the time to remove those eye sore water spots and noise. Clean you’re UV, Polarizer’s and lenses on both sides every time you go out to shoot. If you're going to spend all the money in camera gear and software but not make sure your images are noise and spot free, then why bother? When you are ready to edit your photo, try zooming into the image at 100% in Photoshop or whatever software you use and look for noise or water spots. You should be shooting in RAW mode so that you can remove any unwanted water spots or grainy/noise in your photos. Most lens water spots will be seen at the top of your image in the sky and looks like a dot or halo (water spot/circle). To remove them simply, choose your "spot healing brush" and use 10% tolerance. Noise or RGB is so bad in some photos that it is very hard to remove. There are several ways to go about removing overall noise in dark areas and water/skies. Try using your "remove noise" adjustments in Photoshop. You can also choose to soften or blur out the background layer. I always recommend creating layers to work with each section of your photo, such as background, foreground and subject. Have you ever seen a photo with soft blurring behind the person or maybe a bird with just a soft color behind it? Bokeh is just that simple! In photography, bokeh is the aesthetic quality of the blur produced in the out-of-focus parts of an image produced by a lens. Bokeh has been defined as "the way the lens renders out-of-focus points of light"
Origin-----------------> from Japanese. Bokeh is pronounced BOH-Kə or BOH-kay. To achieve bokeh in an image, you need to use a fast lens—the faster the better. You'll want to use a lens with at least an f/2.8 aperture, with faster apertures of f/2, f/1.8 or f/1.4 being ideal. Many photographers like to use fast prime lenses when shooting photographs that they want visible bokeh in. Another tip is this: The closer you are to the subject and the further away the background the better your bokeh can be blurred out. Make sure your subject is well lit. Choose a colorful background then put a subject in front...go out and have fun. In general, the sweet spot of a lens is between two or three stops down from the maximum aperture. For example, for a lens that has a maximum aperture of f/1.4, the sweet spot normally falls between f/2.8 and f/4. For a lens that has a maximum aperture of f/4, it's between f/8 and f/11. A higher f-number (technically a smaller aperture) contributes to sharpness in two ways. Firstly the depth of field is increased, thus objects which would appear blurry are now rendered sharp. Secondly a smaller aperture reduces aberrations which cause the image to appear soft even at the plane of focus. By all means check on the DXO report website for your lenses and camera body you are using. You can seeall kinds of great information, like how sharp or not sharp your lens is. 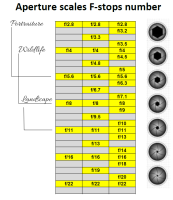 You can also read the chart to find out the lenses sweet spot.